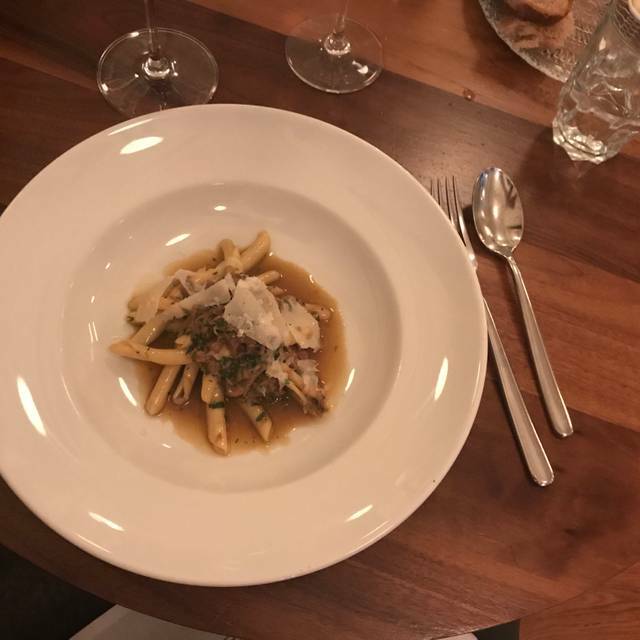 You must make reservations at least 5 minutes in advance of the time at Autostrada Downtown. There are two parking garages within a block of our restaurant, one located on the corner of Pender and Richards and one located on the corner of Pender and Cambie. We are willing to do off site catering for guests that may require this. Autostrada is a place with a simple philosophy. 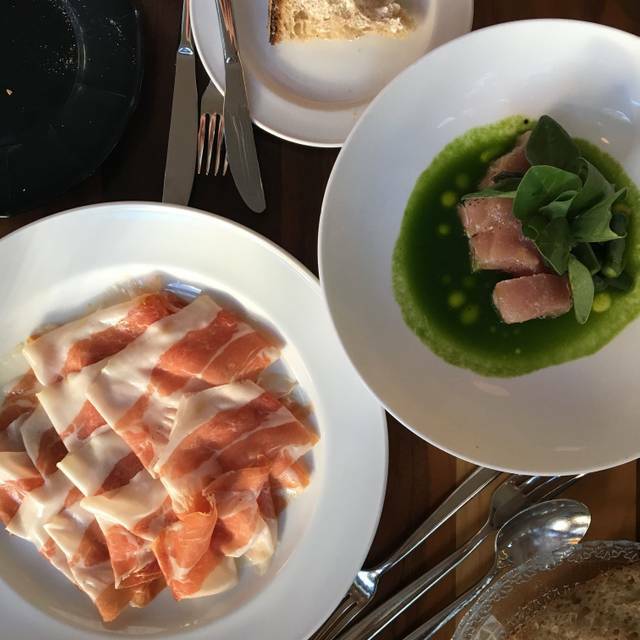 Inspired by the casual osterie of Italy, the focus is on a simple menu where quality ingredients shine, regional wines that represent a place, and a room filled with warmth and bustle. Excellent recommendations on wine and food choices. Staff seemed genuinely happy. Loved our meal; we will be back soon. 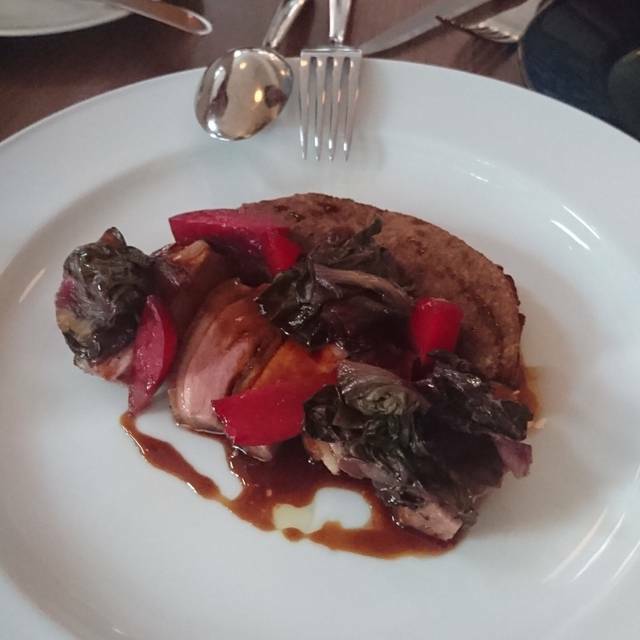 Exceptional food, outstanding service, wonderful atmosphere all in a delightful evening. My husband and I love this place. 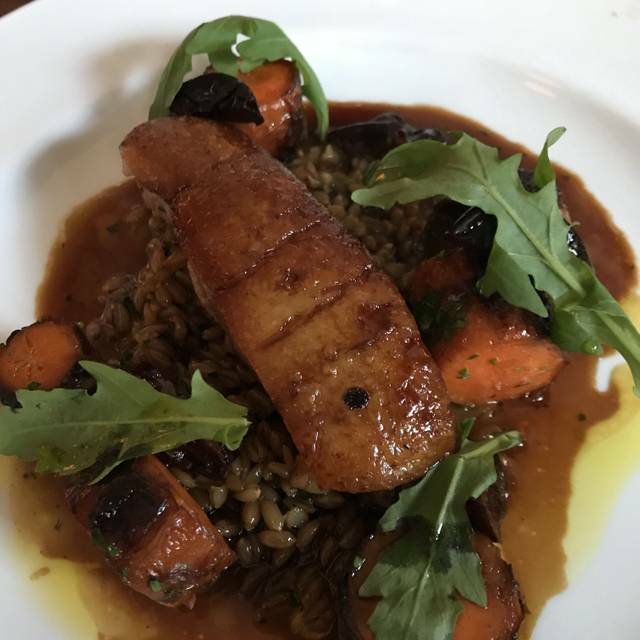 It was our go-to celebration spot when it was called Cinara, and we were thrilled to see that although the name changed, the staff and the chef and the amazing food are still there! We tried a bunch of different dishes and all were fantastic (OMG - you MUST try the risotto) and wine pairings were amazing. They were easily able to accommodate my gluten-free diet, and my husband still got his fill of fresh baked focaccia so a win for everyone. The service team are so knowledgeable about the food and the wine, and our only sadness was we got full and couldn't try everything on the menu :D Clearly, we'll just have to keep going back! Loved the little space this restaurant was in. The server was very attentive and pleasant - answered any questions we had. The pasta and drinks were great too! Highly recommend. Food and service were excellent! Thoroughly enjoyable dinner and service was personal and on point. And prices were reasonable for a downtown restaurant. It’s a lively atmosphere so be prepared for having to talk louder or closer to your companion. Still I’d return in a heartbeat. Birthday celebration and it was lovely! Great food. 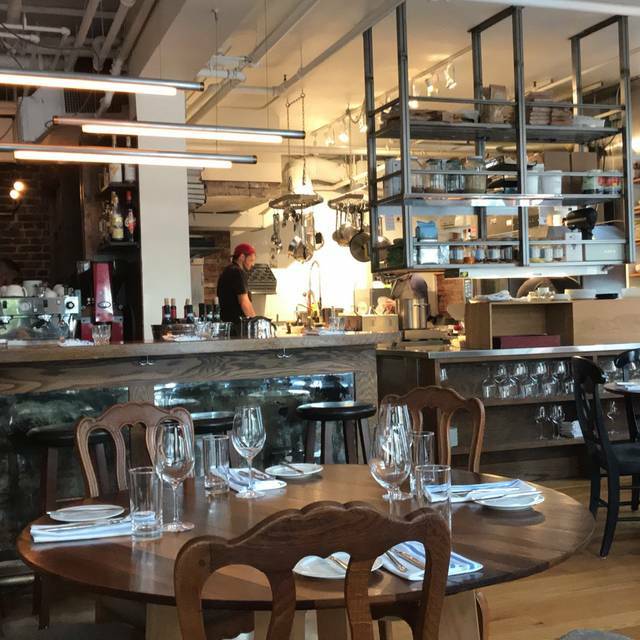 Relaxed bistro style atmosphere and excellent service. Only draw back was the acoustics/noise level, my husband and I were opposite each other and had to shout to be heard. I had a sore throat from having to talk so loudly and repeat everything by the time we left! We were along the side by the window which may have been noisier than other areas. The best fount end staff/ kitchen staff teams in the city!! Lively and energetic with wonderful food choices .. very personable and knowledgeable staff who made you feel very welcome! A really fabulous spot. Very relaxing and comfortable. Great food and staff. Beautiful blue leather banquette and so comfy ! We wish them all the best in this great new concept in the downtown ! Staff went above and beyond to make a friends birthday a great experience. Right from the reservation to the end not a single complaint. The food....uhhh-mazing! If you haven’t tried Autostrada you must!!! Every single dish was delicious. Everyone loved all the food and the wine list is nice. Thank you! Outstanding cuisine and a wonderful atmosphere of happy people enjoying fine food and wine. Great décor throughout the restaurant support with quality engaging customer service. The room was so loud we had to leave before finishing our second course. Our server did offer to move us but that wasn't really going to make a difference. I'm not sure if it is always that loud but certainly would not take a chance on returning. The food was fine but nothing outstanding. Good value quality Italian cuisine with a bistro atmosphere. Best service and good value. Excellent meal! Papardelle special was outstanding as qas herring and bacala appys recommended by the GM. Interior is dark and glass windows and exposed brick make the sound very lively and loud. Would return the next time we’re in town. Noise level is very high. I am writing this review as a guest of my son John deMercado....it was my first time there. Excellent food. The mushroom risotto was the best risotto I have ever eaten. The sable fish was to die for. Service was excellent. I have nothing more to say but cannot wait to return. And all 5 of us agree. Going to check out smaller location on Main, as I hear it’s also great. The food and service were amazing. The design of the dining area is chic and comfortable. Would highly recommend to others. Absolutely loved it!!! The steak is to die for!!!!!!!!! We really enjoyed the meal. 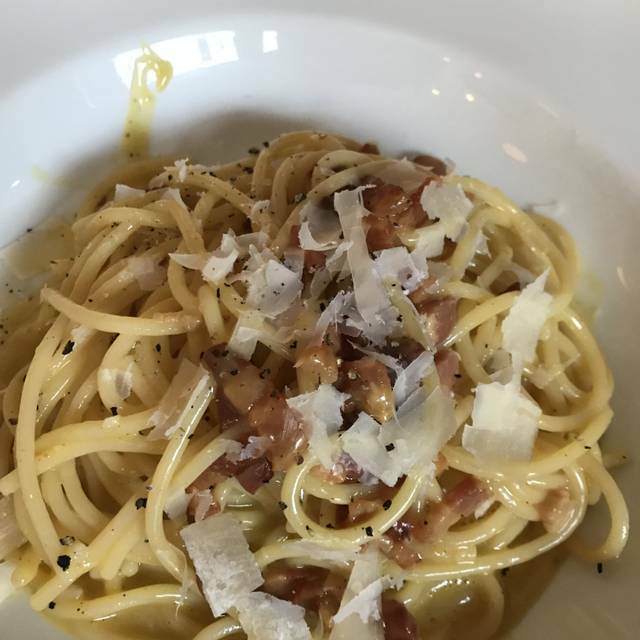 It is probably one of the best pasta restaurants in the city. We each tried a different pasta and we liked them all. 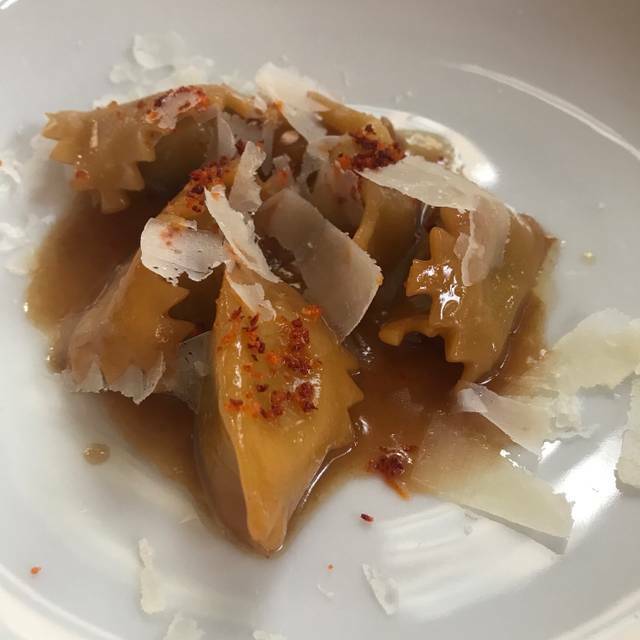 The agnolotti was our least favorite. The dough was not as delicate as I had had in Italy. The filling was good though. The focaccia also could have been a little crisper. Other than that the service and ambience were great. Cool spot, warm and inviting room. Service was casual, friendly and professional. Portions are not huge for what you pay. I didn't leave hungry but could have used a bite or two more. Service was great, food was fabulous and they got us out in time to go see Come From Away at the Queen Elizabeth Theatre, which we could walk to easily. Will definitely recommend to friends and will be back again. Fantastic, with one quibble. We (4 of us) spent about 2 hours eating and drinking. We ordered a lot of food including desert, several cocktails and two bottles of wine. This was an expensive dinner. About ten minutes after we paid, we were asked to leave to make room for others. There did not appear to be anyone waiting and we had been at the table just over two hours. I understand the margins are tight, but especially given the large bill I think it might have better to let us leave on our own, which we were very close to doing. Great food. Meatballs were flavorful, pasta was hot and well presented, desserts were great to see and wonderful to taste. We were there on a Wednesday, service was fast, so we were out early for tickets to Queen Elizabeth Theater. Would go there again. Fantastic restaurant. One of Vancouver’s best kept secrets (for now). Like most new dining establishments in Vancouver, Autostrada is irritatingly loud, making normal dinner conversation near impossible. It certainly rendered the servers recommendations pointless, as we couldn't hear anything being said. The food quality is above average, but only just-- and it is in no way shape or form good enough to justify a 200.00 (before tip) price tag for three individuals. Swing and a miss, essentially. Hopefully your experience will be better than ours was. Its the same lovely room as Cinara, with the bar extended, the same charming round tables and great service. Same pastas as the other Autostrada and similar starters. Pastas are always good but wewere struggling to find the fresh, green options. The ceasar was good but not great and the fish option which we did not order was a nice looking small sea bass dish for $55. 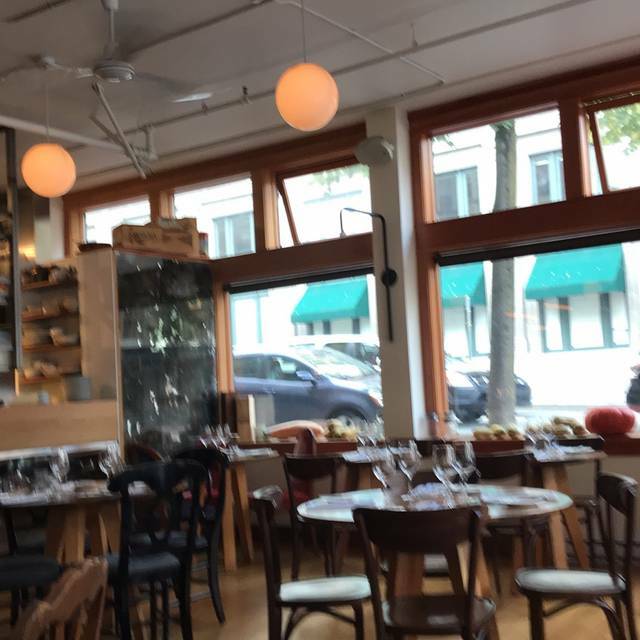 Sad to see the originality of Cinara go - it was wonderfully chic casual with an original menu that allowed for discovery and surpise at every visit. Lots of variety for all eaters. I took all my out of town guests there to raves. 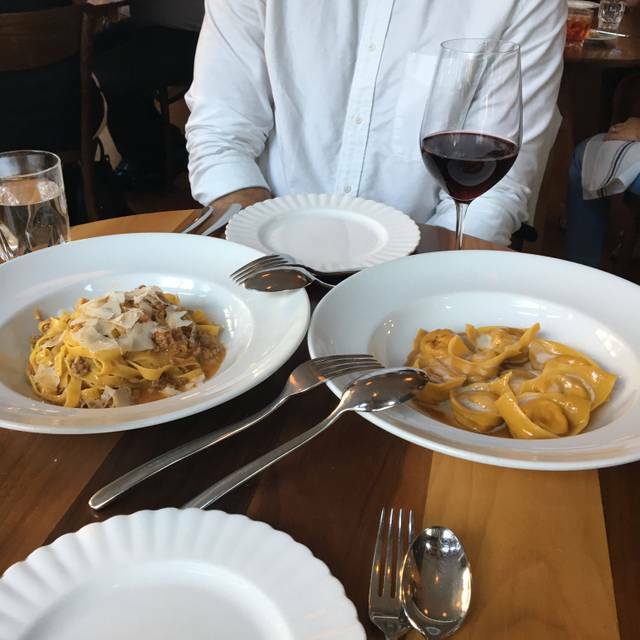 Vancouver is fortunate to have many excellent pasta restaurants but there was only one Cinara and thats a loss for Vancouver.